When I first thought of the concept of cinematic episodes, this is one of the handful of television shows that came to mind. However, it was not the show I was intending to be my first follow-up to that post. I intended to take a more chronological approach to the question of drawing parallels between television and film. However, seeing as how the first show I started drafting a post on is more in the suspense anthology realm rather than the horror anthology realm, and this is 61 Days of Halloween; The Haunting Hour seemed more appropriate. Now, the reason I choose a half-hour (what really amounts to about 23 minute) show as opposed to horror anthology series that literally produce short features (e.g. Masters of Horror) is that it places the series more firmly in the realm of television; a commercial-television product is still very much a TV program no matter how much technique it borrows. There is also the question of format and genre, there aren’t that many half-hour dramatically-inclined series’ in North America. The standard approach is hour dramas and half-hour comedies. However, those shows (as I’ve mentioned in the past) that decide to go for shorter bursts of drama, suspense, horror, or other non-comedic reactions; are typically more successful. The reason I choose horror over a straight drama is not just so I can fit it in with my theme. Horror is not that frequently attempted on TV as compared to other genres. Yes, there’s a surge in recent years due to the success of some series, but in the overall history of the medium it’s more rare. Part of that rarity is that horror is a genre very conducive to literature and cinema. With television one of historical imperatives has been timeliness and economy. Only since the mid-’90s, when trying to jolt viewers and win the ever faction-ing audience has the single-camera approach to dramas and comedies become more prevalent, and horror more pervasive. However, the fact that The Haunting Hour is a horror program aimed at younger viewers also factors in to my selection, also not only because I covered another Stine film this year. It factors in because if you look at these kinds of shows a generation (or so) ago with Goosebumps and Are You Afraid of the Dark? the ante is significantly increased in terms of narrative and production value. 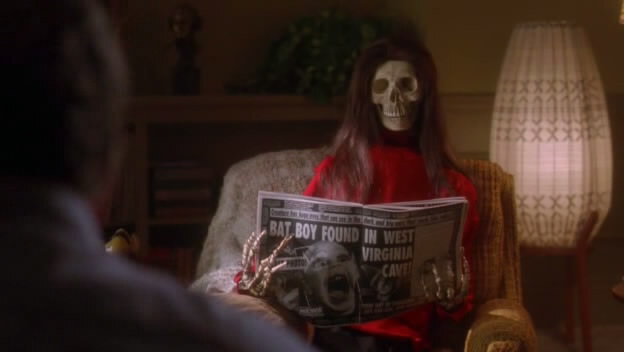 Nickelodeon finally jumped back into the contest with the far inferior Deadtime Stories this year, but The Haunting Hour not only excels in horror but for programming for children in general winning multiple Emmys thus far. However, it is its consistently cinematic approach, ability to attract A-List caliber young actors and its not-always-happy-endings that have earned my loyalty as a viewer. Below I will take a closer look at the cinematic DNA of this show that made itself evident through the course of the show’s first season. It was it’s largest season in number of episodes (22) which makes sense since it launched as the Hub Network did and is one of the young network’s flagship programs. I will briefly recap and react to each episode, offer thoughts on the cinematic qualities of each (usually in visual terms), list directors and cast and link to video where available legally. To start off a new program bearing R.L. Stine’s name. How else would be better than with a refraction of a theme that was not altogether unfamiliar to viewers and readers of his previous series of books (and TV) Goosebumps? Really You tells the tale of a doll that is more than it seems (i.e. alive) and also starts the series off in impressive fashion bringing talented young actress Bailee Madison into the mix. I began compiling this post with more exhaustive notes, however, in a way I still don’t quite understand; I lost those notes. It’s probably a good thing. This ought not be an exhaustive look that dissuades your viewership, but rather a closer one with a focused on eye on what makes this particular program generally more cinematic than most. Some of the motifs and movements used in this tale are: a pan-heavy montage at the beginning, afforded by double-episode status. The double-episode may be mathematically similar to the hour-long episode, however, there is an obvious difference. The difference is in the intensity allowed to build in a more easy fashion. This fashion is not as cinematic, structuring to climactic commercial breaks and a mid-point cliffhanger leading into the next week (or episode), but depending on the story it can serve a show better. Some hour-long TV plots can meander whereas double-episodes can have a more consistent pleasurably dramatic build. 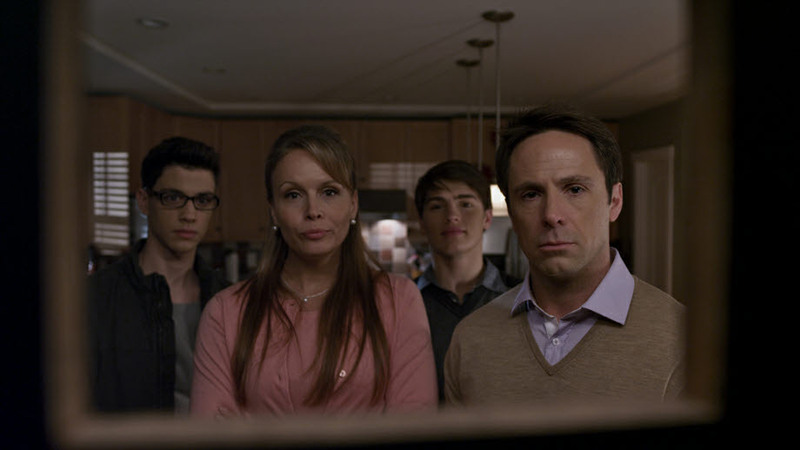 Aside from a match dissolve at the start, the use of high contrast, steadicam, dolly shots and canted angles (including panning from one cant to another) this episode also implements cinematic elements in an homage (A Paranormal Activity style scare) but also with the progressive make-up application as the protagonist becomes more tired and frazzled showing more passage of time quicker than is standard. If ever there was a delicate balance for a juvenile horror series to strike it is that of the wonder of Christmas, especially through youthful eyes; and a horrific element. Now the table is well-set for the preternatural element that will find its way into this episode by the fact that a family portrait is painted of disharmony. As the story unfolds we discover that a divorce is imminent. Naturally, the creature is discovered by the youngest child, Timmy (Thomas Robinson), so doubt is natural. The horror comes to fore in the latter half of the episode and acts as a cathartic catalyst, thus it succeeds exceedingly well in both tasks: telling a horror tale and a heartwarming Christmas Story. To be able to strike all the aforementioned notes properly what this episode does very well is have its camerawork and edit correlate to the the intended tone. The episode commences with dollies, tracking, and other kinetic shots; that reflect the upbeat Christmas morning tone that is being set. However, as the family awakes and some of their issues come to the fore the camera and the edit as well settles a bit. Here the cinematography not only assists in characterization but also in effects-work but also changes the tone anew as things get tense. The balancing act of family, horror and Christmas tales culminates towards the end not only with the locations (the attic and then on the street, with a skylight in one; sooty and a aglow in firelight in another) these simple decisions show it’s not always about big budgets to create a more cinematic feel even on the small(er) screen. Some clips that illustrate what I’m talking about can be found on the Hub’s site below. Here’s the first time the series goes beyond the grave, and in doing so this is where the trademark of the series really starts to come to the fore. As I recently stated in a piece on one of Stine’s features: his brand of horror is not a substandard one, and furthermore, it is one that is not as safe as one would assume would be designed for a young audience. Not only is a ghost a very tangible threat in this particular installment, but the living are not safe from repercussions of meddling in their lives. Clearly when you want to establish a more filmic feel on television one thing that needs to be done is to occasionally buck certain trends and structuring decisions that become mandates in creating the style of a show. While one can dissect the formulaic structure (as I have with this show) with any program, the building blocks that form that structure can be easily switched without hurting the integrity of the whole. Examples of this abound in this episode. First, it has a pop-song montage start to establish its character and location, and it effectively eschews the signature “Oh-ee” cut-to-black theme ending usually reserved for episodes. Why these changes work is that they effectively create the tone they are seeking to. While there are some visual signatures in this tale worth noting that pop up in this show for the first time: like the use of obstructions in frame, flickering light; and some repeating like smoke and firelight; it’s the edit of the end that bucks the trend. 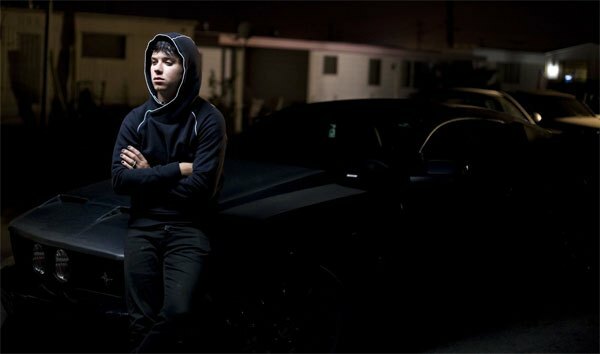 It uses a cinematic settling-in-of-fact to take the journey of discovery along with its protagonist (Brendan Meyer) and, though the audience may jump ahead of the conclusion, the impact is heightened because of the fact that for the last few minutes you’re allowed to feel the enormity of the reversal of fortune sink in for the characters involved as well as for yourself. You can also view clips from this episode at the links below. One of the classic shows of influence in sci-fi, the supernatural and horror is The Twilight Zone. It’s influence will be eternal and is hard to avoid. When one compares what you’re doing to that program it is the utmost compliment if you are said to be doing well at the impersonation. The set-up of this episode is not unlike an episode of The Twilight Zone. The nuclear family at the center of this tale happen upon an inn that has been haunting the recurring dreams of Jillian, the eldest (Madeline Carroll). Her mother turns a deaf ear to concerns and they stay there regardless and begin to uncover the secrets the inn has. This episode is all about low-light and high-contrast. Well, two thirds of it is. To not put too fine a point on it the night-day-night structure of the three acts is crucial in the telling of the tale. Far more than the occasional POV lurking shot or the use of slight-bounce (as opposed to to jiggly-cam) to convey tension. In film (as in television) time of day is a much a part of the setting as the year and location, if not more so. These choices are influenced by the telling, and aid the impact of the story as well as various production departments. You can see clips of this episode below. One of the classic motifs of horror is the desired object and the maleficent salesperson who will dispense justice to those who cross them in business dealings. However, when one deals with an anthology series commonly tread ground will be found quite often. It usually comes down to how said ground is trod this time around. With regards to comeuppance this is one of the most daring tales, and early on in the first season again sends out a reminder that not all will end well. This can be looked at as a controversial approach. However, when one considers nursery rhymes and Grimm’s Fairy Tales one realizes that kids do process the horrific rather well and come to expect it. Almost any ramification can be absorbed. It’s an overly-realisitic rendition of violence and threats that can really cause problems it seems. The crow breaks the visual malaise and foreshadows. The motivation is set (impress the boy) now the trap needs to come into place. Shafts of light, shots through glass, camera movement both amped and smooth; the mood-setting of this episode definitely delivers where the conclusion may not. The production picks up for fairly standard plotting of a desirous-object tale. As does the very last shot in the shop. Here we have an episode mostly dealing with events in and around a cemetery. A pair of siblings each has their own preoccupation with the dead. Lauren (Emma Grabinsky) practices the art of grave rubbings, whereas her brother, Mark (Jason Spevack) is curious to see a dead body. This is a tale that deals with the desecration of a burial site, both in a personal and corporate way. The corporate will be that a mini-mall is soon to be built over the graveyard (thus, the ability for Mark to actually potentially see a body) and the personal comes from the children coming to close to those trying to rest at peace. 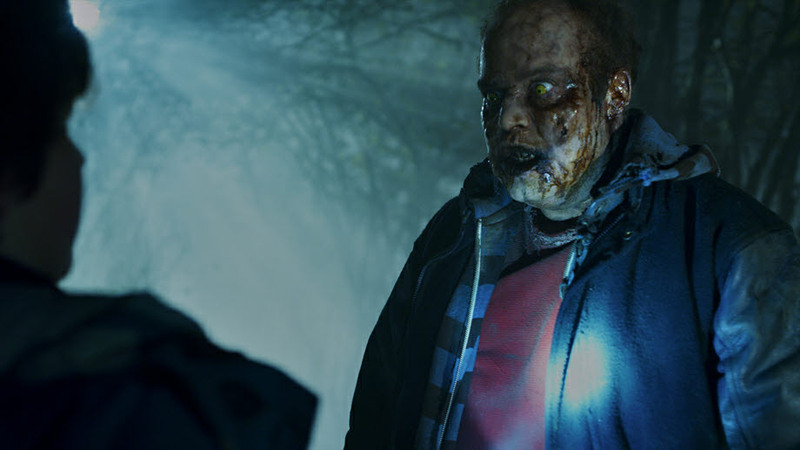 In the end this episode ends up acting as a covert zombie tale preying on fears that we all harbor about proximity to the dead will ultimately lead us to crossing over. The displaced corpse tale alluded to with a languid series of camera moments and shots as construction workers move about a dilapidated, torn up cemetery. Staring contest set-up siblings and leads into discussion of mortality and hobbies, grave rubbings; things that tie-in to death. The line of propriety that must not be crossed is explored in here. POV and long shots establish watchers and suspense, montage of of headstones when mark is missing, and empty graves do as well. One of the lines of fright “I’m so cold” echoes something from Are You Afraid of the Dark? that’s handled much better here. 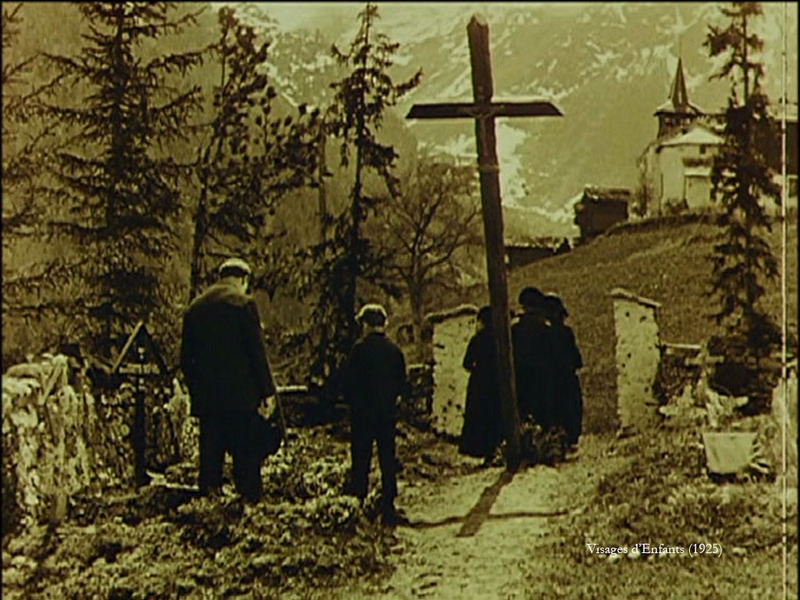 In night time scenes very similar shots to those used in the day at the cemetery are amplified by the lighting. Claustrophobic shots on last story day of the tale lead to the visual and narrative circle closing that occurs. As difficult as it is to create a wholly new tale, Walls comes about as close as this series has. The creature living behind the walls of Jeffrey’s (Bobby Coleman) new family home, who menaces him, is a parasite. He knows it’s there, his parents deny it. Does it want to hurt him or is that just perception? That’s the set-up and what will be discovered over the course of this episode. There is visual foreshadowing in abundance not just with the POV shots but with the shots that focus on the lamb-patterned wallpaper that has an oddly hypnotic quality. Many of these shots have unique wrinkles to them. The creature in this tale is treated at times like a classic movie creature being shot in pieces and under-exposed through much of the episode. There is also a prevalent use of audio allow the audience to imagine where the creature might be, what it looks like and what it’s doing. The edit of the first physical contact between Jeffrey and the Klemit is very strong. Once the walls of the house are breached there is even more visual intrigue added to the story than before with certain frames being trifurcated. The last shot is brilliant, as is the fact that this is perhaps one of the biggest tales of perception told; secrets inherently being frightening. While it can’t be said that this episode is wholly un-cinematic this one is much more about creating an interesting fantasy than trying to produce a scare. With a video game basis the tale is more reliant on effects than most and that is just one of the episode’s failings, which can’t escape being one of the most wholly uninteresting and unsuccessful of the series thus far. There is a pervasive use of Steadicam, tacking shots and shot that follow one subject and “dump” onto another in this episode which lends it an immediate visual style. The Art Direction then joins in the flair with a stylized gaming lair (Scaffolding and overhead lighting grids). As the mystery game invades world and the visual style changes accordingly more CG comes into play, jib shots, lighting affectations. The design of the diner is artful, some lights being gelled the video game aesthetic becomes more present here. Gels representing highlighting of weapons in gaming. The framing of the climactic shots, as well as the allusion to a classic horror film are appreciated if not as gracefully handled as they could have been. One thing an anthology series, or any other series that is not dealing in strictly-linear storytelling; has to deal with that other series and films don’t run into as often is the conundrum or ordering their series. Both this and the prior episode can be considered departures from the usual tone and tenor of the series. There is a supernatural, extra-terrestrial and menacing aspect to this installment, however, there is also quite a bit of comedy to as well. Thus, this episode and Game Over being dropped down consecutively in season one feels a bit odd. However, aside for the two Young Artist Award nominations (and one win) that this episode garnered there is a bit going for it that makes it somewhat more enjoyable than the last. Aside from an early low-angle the first attempt at something non-vanilla in this episode is about 6 minutes in where the secret of the tale is being divulged. From that point forward things start to get decidedly less flat, more graded and cinematic as the story goes beyond the ordinary. Green light in night shot, singles become slightly more angled (up-shots and down-shots), underlit school at night, red gels and the like become the norm rather than the exception. All of the above episodes are available on DVD from Shout Factory, or can stream on Amazon Instant Video (Free to Amazon Prime members). This episode starring Ariel Winter and Quinn Lord tells a rather metaphysical tale. The two children are staying at their grandfather’s house. He is a renowned psychiatrist, who struck an unusual deal to be able to physically trap the fears that haunt his patients. All hell breaks loose when the fears get out. This expansive house, with diffused light flowing in through its windows, looks like it would’ve been the backdrop for a Golden Age Hollywood film. Slow push-ins, one of the most effective tension-building methods, are and combined with soft-spoken fearful retelling of their phobias along with black & white flashbacks to overheard phobias; add style to the visuals. Smoke and a push-ins used on the personification of Fear (who in another old school technique has his eyes “masked” by light often) makes his first appearance. Focus filters seem to be played with a bit too, but to accentuate something very specific as opposed to some shows that just use it as a texturing device. Tracks and swish-pans abound as they run around fearfully. Another bit of lackluster effects work doesn’t hold it back. Many tight angles, along with the situation make this an effective chamber-horror tale despite the fact that the house is massive it feels like it closes in. The tragically flawed role model makes for a more interesting tale, as does the open end. Some very good and funny things have been done in the horror genre when playing with the notion of pet and master then mixing that notion with zombies. Fido being among them. Here a boy who desperately wants a dog, but is not allowed one by his mother; has a zombie as a pet. The tying in of several threads help this episode: the desire for a pet met by the discovery of a zombie by a child (Nolan Gould) with an aptitude for science. 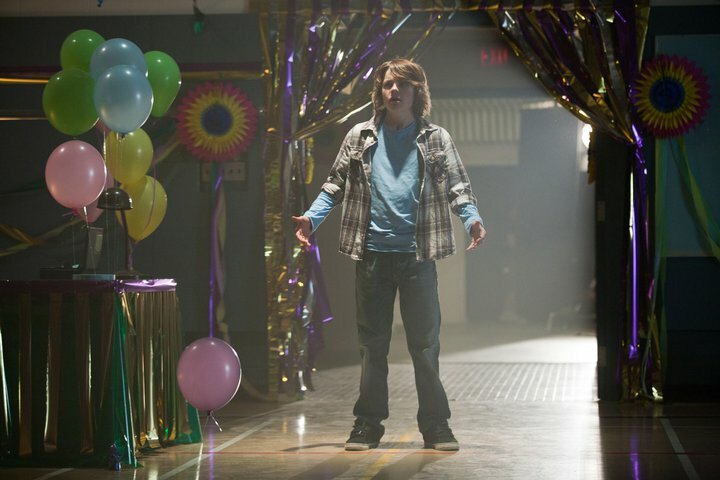 The set-up in the episode includes a long take walking down a school hallway. The take seems cinematic because it follows its subjects in a two-shot, doesn’t cut and is long for a TV shot; it also relies upon the actors to interact naturally without aid from the editing room, which they do. The visuals are spiced up further in a later fantasy sequence, by use of a filter, fog, in-frame depth and tracking shots. There’s also the classic hand out of grave trope, which can never really be tired if well done. Similar to a pattern already seen once this tale leaves the school the style of the episode unfurls itself. In the final scene, the lighting belies the tone of the tale’s end at least to start. There is the use of a symbol, which the protagonist decodes and adds an exclamation point to the ending, which an invitation to visual literacy. Here is an episode that not only deals with time travel, villains, but also has quite a twisted ending. Three kids break into an old house full of mysterious artifacts. Most intriguing among them is a black mask that they believe is giving them glimpses of the past, but a past that they can change. They then set out to try and do just that. The first episode to go title sequence first and not have a teaser lead-in to it, this helps to establish a greater immediacy and legitimacy to the narrative. Start with a jib over a for sale sign to establish the central location of the story. Many things stand out visually in this episode: Eyeball-shaped orange vistas through the mask on black backdrop with a sort of 16 fps flicker to them; the canted steedicam shot with slightly up-glancing angles to start; flashlights; diffused sunlight through dank, dark basement. It’s a tale of twisted antiquity with a lurking man whose status is unknown. The cutting pace near the end is exceptional as is the sense of false victory leading to the chilling conclusion. I was never afraid of clowns growing up. In fact, pretty much the only thing with clowns in it that did ever scare me was Stephen King’s It. However, I can appreciate their treatment in the horror genre, especially taking into account how it is likely to affect those who are afraid. Not to mention the fact that this episode in particular has a very unique take on clowns one that can be described as treating them like a species. Wobbly POV tracks to start the episode. As with many tales about clowns in horror: start with the childhood trauma and tell a story later at the apex of this fear. The spin on clowns here is quite an interesting one and quite different. The introduction of the protagonist (Jake Cherry) and his family with allusions to “the talk” is great. Then there’s the potential love interest, which adds intimations of a coming-of-age subplot and subtext. There’s a great series of shots and cuts set-up around the rock-throwing scene at poster. A scene where our lead is followed by a car finishes with a great punch after being constructed by smooth camerawork. All horror can be boiled down into two categories: fear of what you’re becoming or fear of what’s coming after you; this episode manages to combine both these things deftly. 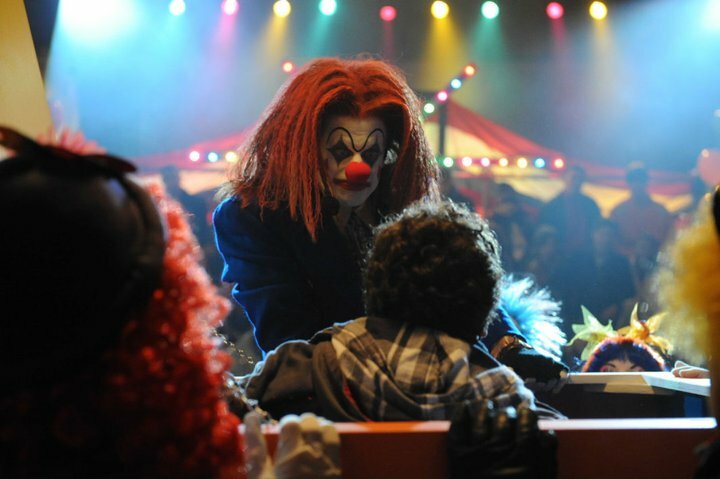 Many canted and slightly moving shots when our lead goes to the circus and is confronted by clowns non-stop. Shots in the box with the spinning lights is style in spades. When you’re dealing with horror and kids there are going to be many tales that deal with siblings. Usually what is going to be a focus is that one sibling notices a change in the other that their parents are oblivious too. 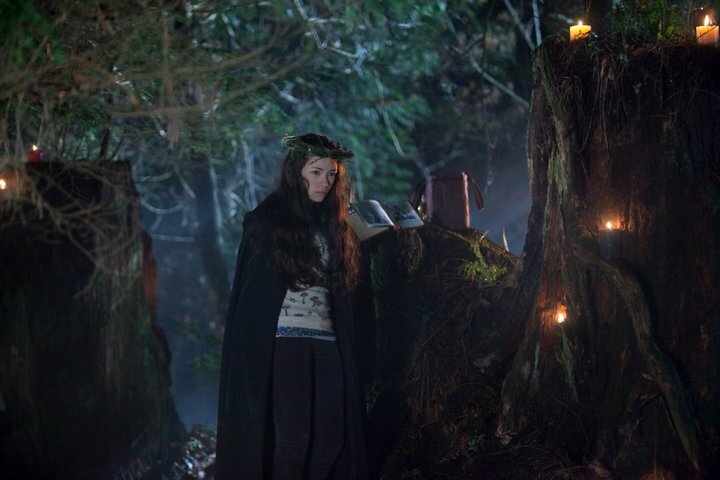 Here Alice (Jodelle Ferland) has returned from boarding school and Pete (Uriah Shelton) starts to suspect that she is a witch dabbling in black magic. However, here it is the misunderstanding, and lack of communication, that leads to tragic circumstances. Sibling rivalry, and differences between sexes, obfuscate realities here. Night falls three minutes in and shots gain contrast, look up, fog abounds outside. Discussion of next day: sneaking, hiding and black cat (plus score) aid fear. Another situation with a symbol; at first misinterpreted. Conflict rises and hits a volatile, game-chaging midpoint where the characters part and understanding becomes impossible, then one tragic turn compounds itself atop another, then another. When communications open up properly it’s all about trying to right wrongs. Situation heavily overrides affectations and surprising visual turns abound because of it. Suspicions turns outward. A better effect than most episodes were afforded. Just when you think you got the last wrinkle, you haven’t. Two other notes is that naming the cat Baba Yaga, is a much more effective use of folklore. Also, scouting versus witchcraft, plus the inclusion of the grimoire, add to a textured narrative of accepted fraternity. In an unusual turn for this, in fact, for most series; this episode features two mean girls. They are, of course, the most popular girls in school, Steffani (Debbi Ryan) and Tarah (Sarah Dugdale). Sarah is good at her core but has built a coarse uncaring exterior to survive and fit in. In a classical horror trope they cross the wrong woman, an old gypsy, and start to face severe consequences following her demise. Great job establishing characters right off the bat through voice-over and music. The use of text-message-subtitles is also a nice touch. Perhaps what’s best here is seeing one of the central figures be an un-likeable character because of how it can instruct on different narratives and sets up a better morality play. Shortly after stasis and the mean girls’ doormat is introduced another “nemesis” incites the plot. Wonderful shot to sell initial effect scene. Effective use of diffused light down hallway on next pivotal scenes. Cell phones come in to play more as the episode progresses to great effect. A strand of lights adorning the wall a simple art direction choice that adds texture. Reading of Shakespeare in school is old hat but the kind of detail that adds some texture to the tale also. As much as it can be a central focus in comedic tale, so can obsession factor significantly in horror. 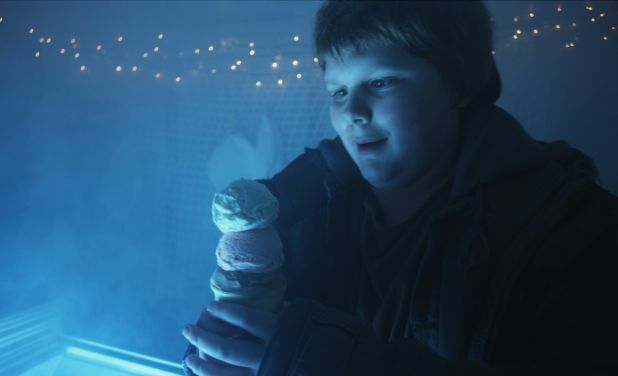 Here the tale is a very simple one: Marty (Robert Capron) loves ice cream. This obsession makes him the target of a mysterious ice cream truck that only he can see. One could draw a parallel between this episode and We All Scream for Ice Cream on Masters of Horror. 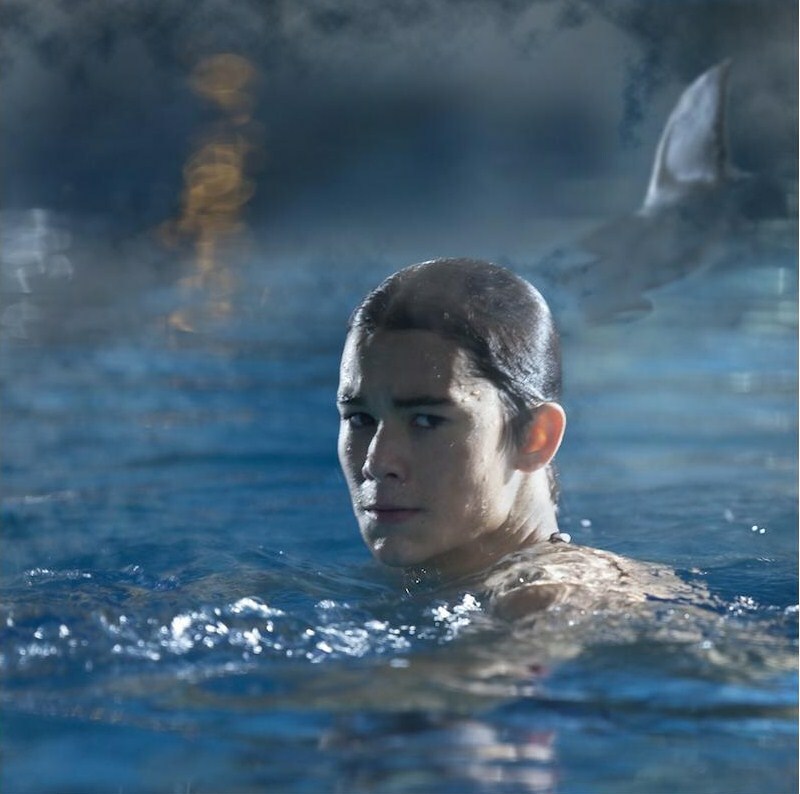 While a majority of the episodes on The Haunting Hour are original teleplays, this one is based on a short story by Neal Shusterman. This is a classic set-up that any kid can relate to on some level: an obsession with ice cream. A Maximum Overdrive approach to shooting the truck as a driver cannot be seen. “Pop Goes the Weasel” plays frequently (as per usual taking a childhood song and rendering it scary). One particularly cinematic affectation in the lighting is the exaggerated headlights at night, freezer in the truck. In fact, most of the special shots and lighting saved for the mystical like the frozen makeup, and shot through frozen window at the end. If there’s one thing I can’t handle very well it’s when a very cool bit of folklore is brushed off only to be used in a very subpar narrative. First and foremost among those would be the werewolf myths in Native American folklore being bastardized in Twilight. However, this bit of Hawaiian culture the Nanaue (a human which turns into a shark when it goes into the water) is a close second as this episode is fairly obvious throughout, fairly ineffectual and lacking in style. Another childhood trauma scene early here: water/swimming, that portion while short is well-shot and edited. And there is a contradiction, our lead is a lifeguard but little works here. Neil Shuster, who wrote Catching Cold is back, but there is a very broad drawing of love interest and antagonist. The score has some very odd notes to it that muddle the tone. This episode is part of the reason most of the commentary is technique-based. While I do enjoy a lot of these episodes quite a bit on a narrative level, even when they fail greatly in that regard the techniques are still usually very cinematic (like some lurking shots of swimming legs similar to Jaws) and worth breaking down. The retelling of the legend allows for hope in a saving grace but there ultimately never is one here and its highly anticlimactic and ineffectual. And that complaint isn’t about the premise of how does one have a pool-shark (Old-SNL jokes aside), but rather how it’s handled. This episode features one of the most perfect narrative circles in the series to date. A group of friends watching a ghost hunting show on TV doubt its veracity go out in search of their own local haunt to see what they can find. The bet being that they can fake a better show than the “pros.” Here again there are very strong performances spearheaded by Gabriel Basso who stands amongst the most impressive turns in the series to date. This is an episode written by Melody Fox, her name is on most of the better episodes of this first season. Visually there is a lot of night vision in this one and much high contrast as well as a great arc for the characters here. As history of the locale builds so does the ambiance and what it attempts to throw at its intruders. Flashlights are used again, but in much lower light thanks to the locale. Sound design and routine (time) come into play greatly in the plotting of this episode. The chase sequences are highly effective. In most episodes there is usually a very cinematic push of the score, here especially. What really sets the episode apart is not only a circle-closing kind of end but how the story separates the leads isolating one, leaving him alone and afraid; chillingly, realistically afraid. Gabriel Basso delivers one of the top two turns in season one (And I really can’t break that tie). A so-so episode inasmuch as the concept in the end is not a bad one but the execution is a bit lacking as there is actually some filler and an elongated sequence roundabout the middle. Josh wanders down the rabbit hole when his brother Matt, always thought to be perfect, starts to show some imperfections. The more he discovers the scarier and odder things become. Fairly straightforward handling of stasis and then into the initial dinner scene but it does set-up the family idyll. Similarly by design are the line-readings in the opening scene by the parents they ultimately act as foreshadowing. 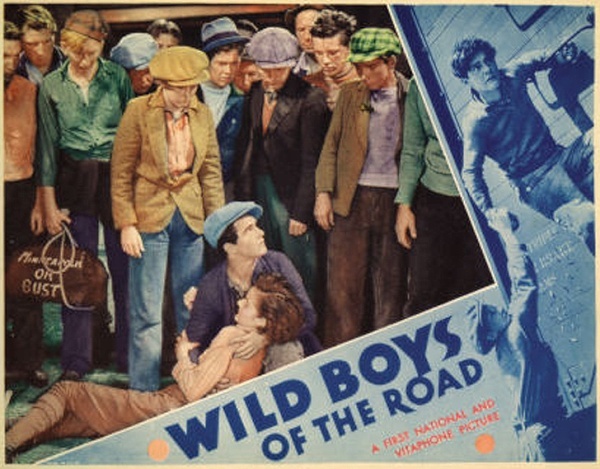 On the production end here is a situation where actors of age were brought in, partially because the story allowed for it, but also to more economically produce the film. As the secrets start to come out, and things get cockeyed this episode becomes a more intriguing one visually, acting as our leads eyes as he seeks the truth and also following him through the strange environs he investigates. Blues, yellows and smoke come into play as the factory is walked through and the truth starts to boil over. A local urban legend, one that sounds a bit like a Michigander rendition of New Jersey’s Bloody Mary, is recounted and Hannah (Eva Allan) starts to see signs all about her that there may be truth to it and soon finds herself in a world not at all like her own. This is a two-parter that has some great world-building, cinematography and ambiance; it may be just slightly bloated to achieve double-episode status but the only true misstep is to replace the traditional, eerie “oh-eeh” musical finale with a very annoying techno song. This is the first episode where there is a content warning before it about how it may be too scary for children under seven. I have no doubt this is the result of the effectiveness of prior episodes and complaints received. The OTS at the head of the show, now commonplace, allows for a longer unfragmented first act, beneficial when a tale needs set-up time and can’t start on a jolt. Once in the house the first thing you see is the mirror, which will be the most important set piece in the episodes. The characters quickly show a kind of rapport and then the idea of the fright-game is explained. Music starts in, the legend is sketched and will be filled in and consuming. The covered mirror is also indicative of character and functional to the plot so is a nice touch. There is a tremendous myth and world built throughout augmented by lighting and locale occasionally overly-undercut by certain decisions. Attitudinal change builds towards a well-chosen midpoint. Candlelight is all illuminating her face at the first key moment of the story. Mirror breaking here, as well as the use of other mirrors and reflective surfaces appearing in the episode are well placed and chosen considering their importance. Part two has a previously on The Haunting Hour intro which of course breaks pretenses of cinema. However, it is very succinctly and precisely cut together. Most of this half will deal with our lead in this other realm. There is great atmosphere built here but sluggishness in a few spots where it’s ill-afforded the opportunity and it ends in a very low key manner. The more horrific spin on Alice Through the Looking Glass is appreciated though. It does split time well in trying to pick up the pieces in her home town and dispelling disbelief. On occasion the formula for a show can set you up to over-anticipate the conclusion and thus ignore a lot of the good that occurs before that point is reach if the finale is dissatisfying in some way. The Moonlight Sonata masking scene is particularly effective, if the later pay-off isn’t all that special. However, that is a question of the chosen technique (CG vs. Practical) more than anything else. The apparent defeat works well, even if one of the major failings is Scary Mary, which is an issue. As well as then end jolt whose last two beats are just so unfortunate. After all that I won’t belabor a conclusion too much. I had intended to parcel the season out but my schedule didn’t work that way. One pattern that is apparent and fairly self-explanatory is that when the tale is mundane so is the camerawork and that follows. That’s not unusual. What is unusual for a TV show is a lot of what goes into the production of these episodes. The single-camera treatment allows for these specialized shots that we’re used to seeing on a big screen. The scoring, which I didn’t discuss much, is an integral part of producing the desired emotions whereas many TV shows don’t have noticeable scoring. As opposed to other anthologies aimed at kids in the past this show still does, but especially in season one, bring in not only capable actors, but those their target audience would recognize. In terms of the horror genre the show is not safe, which one might think it’d be more inclined to be when being intended for younger audiences. That’s what horror can’t afford to be is safe, and in terms of going a step above it’s what television can’t be either. Since TV came into being there’s been an aesthetic conversation between it and film, one has pushed another at certain points. The single-camera approach was an edge film had for years, for a TV show to turn its back on it there has to be a good reason. Furthermore, with growing sophistication in audiences, in some regards; kids (or anyone) won’t watch a show that’s not at least mimicking certain techniques in a short convenient format. It may not be a conscious thing, but it will be noticed. 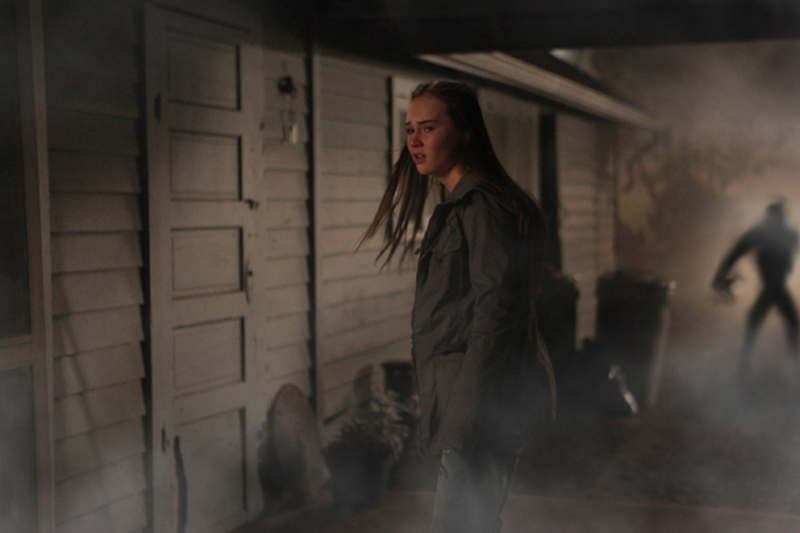 The Haunting Hour has on the The Hub begotten a new horror-themed weekly series, Spooksville, and as mentioned Nickelodeon is back in the anthology game. It’s not necessarily reinventing the wheel but it is filling the need of a horror anthology and a smart, well-produced show geared towards younger audiences delivering short scares. With new generations come new interpretations by default. Newer isn’t always better. Better is better and this series with its cinematic, polished approach has upped the ante for its particular subgenre and added a valuable voice to the horror genre in general. This is an idea I first saw on @bobfreelander‘s blog. The idea is to list your favorite films from the past year that you saw for the first time, but exclude new releases. This allows much more variety and creates a lot of great suggestions if you read many of them. Since I tracked these films much more closely this year my list grew long. I will occasionally combine selections by theme, but there is enough for five posts. These choices are in no particular order. Part of what I really like about 31 Days of Oscar is that despite how high up the you-shoulda-seen-this-by-now ladder a film is the slate typically makes it quite easy to catch up on many of those titles. 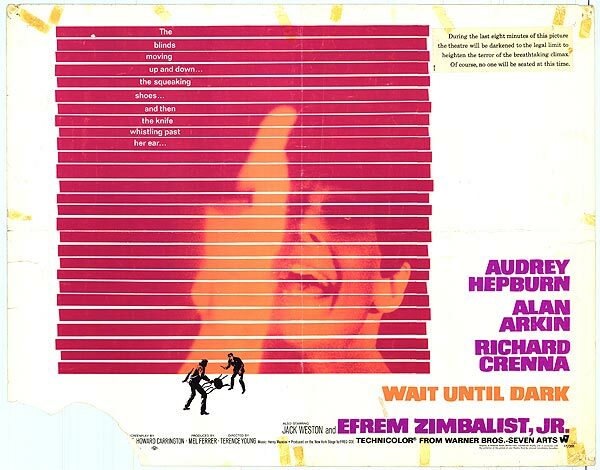 I always figured that the closing half of this film must be great, but what good is that without an effective build-up? Not much, but this film has both. Yes, I learned it an always vaguely knew what Pre-Code was, but this year was the first time I really studied up on it and started to watch it more. This film, in part, was the catalyst. What really strikes you is how this film epitomizes the working class, stoic tackling of Depression themes head on that was a Warner signature of the era. If I wanted to try and completely drive myself insane and place these films in order, this would likely come out atop the fray. 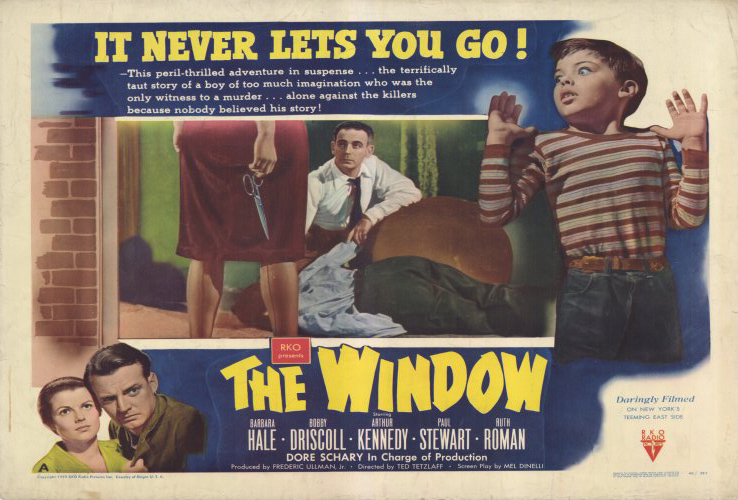 This is a film based on a short story by Cornell Woolrich, the same man who gave us Rear Window, and is essentially that tale crossed with “The Boy who Cried Wolf.” It’s short and as suspenseful as you could possibly stand, with real danger and a tremendous performance by Bobby Driscoll that earned him the Juvenile Award from the Academy. 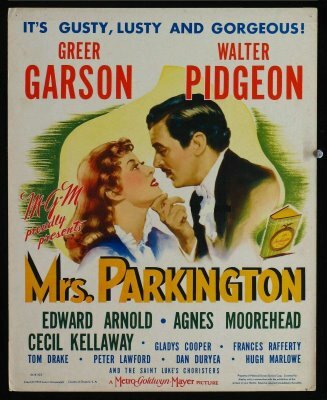 This is a another 31 Days of Oscar selection that allowed me to redeem missing one of Greer Garson’s nominations as Best Actress. A few years back TCM aired each of her five successive nominations in order and I should’ve seen the whole block. This is a duplicitous family portrait that spans lifetimes and does so very entertainingly. In my previous post I discussed the dichotomy between Roger Corman and Charles Band. 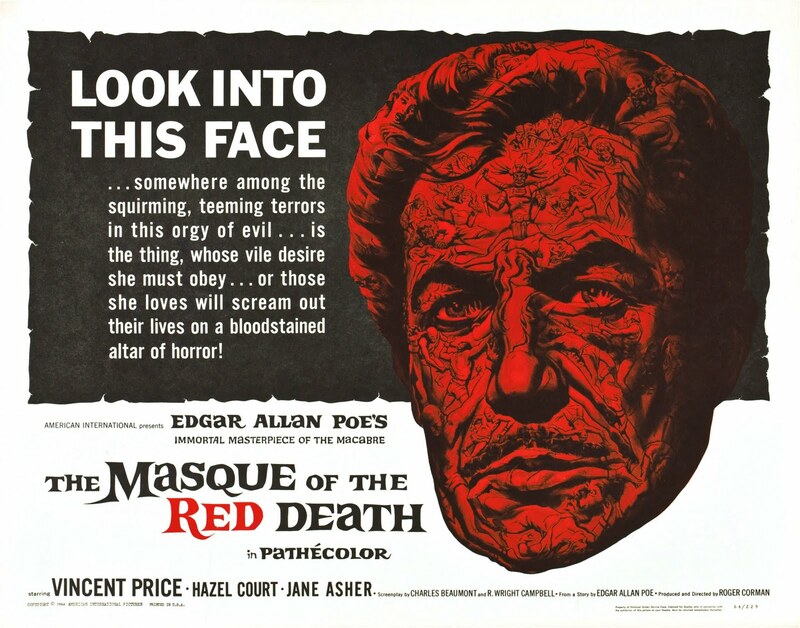 Where Corman sets himself apart is in the careers he helped kickstart, but also with his Poe adaptations. I saw a lot of these films in the past year and this was likely the most artistically daring and complete of the lot. I have a lot of silents and older films sitting on my DVR that I must get to. This is a case of my catching a piece of this film on TCM late one night then being determined to watch it whole again one day. This film stuck with me not just because I discovered the work of Jacques Feyder through it, but also due to the wonderful tinting work involved in it. I embrace any and all horror series like Six Films to Keep You Awake that round up genre directors from certain countries to tell quick effective tales. It’s not dissimilar to Door into Darkness or Masters of Horror, this edition highlights the uniquely opaque, intricate and dramatic flair that Spain has for the genre. There will be another tale from the series on this list. This is the one that separates the die hards from the casual admirers. 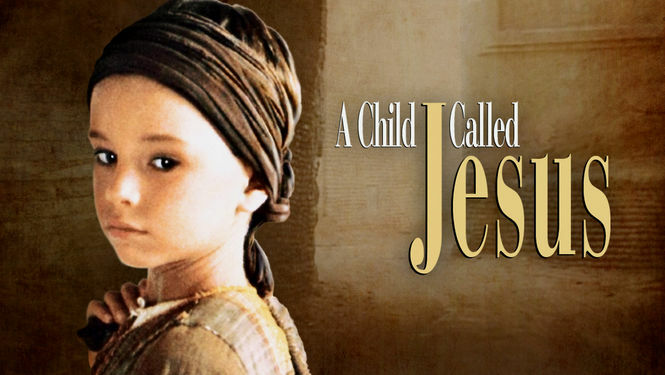 Any film willing to fill in some Biblical gaps, or at the very least cover ground rarely trod, will get my attention. Similarly any film that can hold my attention in spite of terrible dubbing is also worth noting. As mentioned above in Spectre, this is a Six Films to Keep You Awake tale, but this is the more accessible of the two I chose. It deals with a group of kids who find a woman trapped in a hole, as they learn about what got her there each faces moral dilemmas about how to deal with the situation. It not only sets up good horror but great character study. Prior to Jeremy Sumpter being the not-so-obscure object of desire in Excision he starred in this film which features a very overt and twisted mentor-protegé relationship. Bringing horror icons into the fold of a new project can be a double-edged sword but Brad Dourif is very effective in this role. 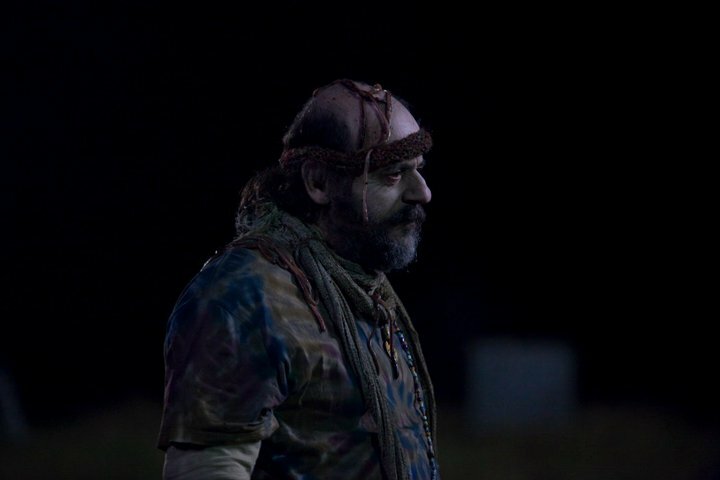 Conversely, Sumpter utilizes his seeming vulnerability to channel a disconnected attitude and anger. The undertaker/death obsession mixed with suburban malaise can be seen as an obvious connection, but it’s not an overwrought one and works well with the performances. Daily I will be viewing films in the horror genre between now and then and sharing the wealth. Many, as is usually the case, will not be worth it so for every disappointment so I will try and suggest something worth while as well. Now all that was previously said about this series is true. Even when you get one of these films that don’t quite work there is something to latch on to and take with you which isn’t always the case with other films. This film is inconsistent at best with regard to the tale it tells. While it does manipulate time well extending sequences for dramatic effect overall, however, when you take into consideration this film has less time than a traditional feature to work with it ends up being a detriment because it helps make for an anticlimactic end to the tale. What you can hold onto in this film is that it is a rare kind in a horror film, which allows the characters to fully absorb the reality of their plight and to react to it emotionally. The cinematography much of the time is uninspired, for example, at the start there is a tiresome series of rack focuses between hands of one friend playing a video game and the other texting. Where this film falls into the realm of mediocre at best is what happens after the two friends leave the morgue. There is a very hard to swallow sequence with a series of attempted 911 calls all of which are disbelieved. It falls short both because of how it is written and because of the performance which is believable and makes the operator’s disbelief harder to swallow. There is also a mom who is far too slow on the uptake that something is seriously wrong with her son. The scene plays out for too long before its addressed. Not to mention the bloodstain which is explained away as something else and not investigated. This is also a film, as is typically the case, with pretty good effects when they decided to do things practically and not so great results when it comes to CG. If you’re a completist and make it a point to watch this whole series, which I highly recommend, then this film shouldn’t be high up on your list. 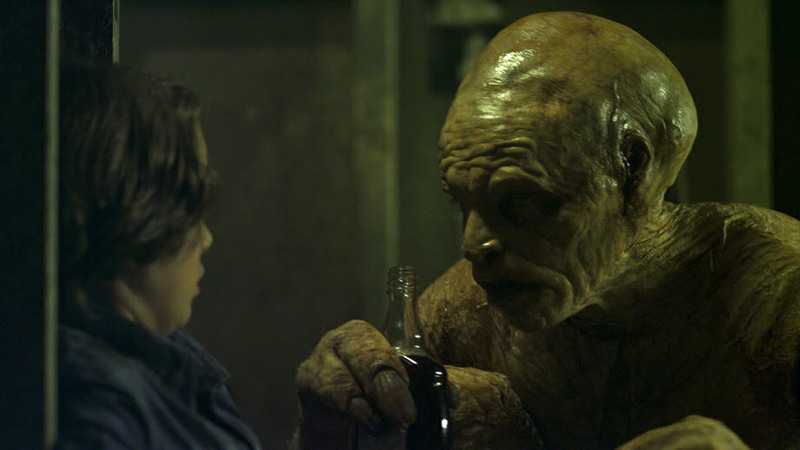 If you’re just looking for really good horror look elsewhere. In this series of films I have already chronicled both films in the Masters of Horror series and Larry Cohen, in The Stuff. However, this film is a little different for both parties which is part of the point of starting this series was to find, or reveal, works in the horror genre that are worth profiling. What separates this film is that it truly does focus on the antagonist more than the protagonist and what’s more is it concerns itself with a cruel twist of fate in which there are two psychopaths covering the same area. While this film does have Cohen’s typical blend of humor the production values are way up from their usual standard and furthermore it does get pretty darn creepy more than once as this unique scenario is allowed to be investigated almost to its fullest. Aiding in that journey is the fact that the screenplay has been adapted by the author of the short story David J. Schow. The film is further elevated by the fact that it features yet another brilliant performance by Michael Moriarty, a Cohen regular, who always seems to be a completely different character. What makes it compelling is not only do you realize early on that these two characters are on a collision course but when they meet you even wonder if they are working in tandem. When you find they are not it still remains interesting as you hear the differing philosophies behind their psychoses. Yet even with all that there is a twist in store that catches you, which is all the more surprising. Of all those in the series I’ve seen this is the one I’d put at the top of the list for the conventional horror fan to see first. If you’re familiar with Argento obviously see Jenifer but this is likely the most accessible and successful title to date. The Masters of Horror series, when it was on the air, was a valuable and important addition to the horror genre. It frequently employed those who had made their name in the genre and subsequently had made it better. It also allowed them through these tales running approximately an hour to push the envelope, explore new ground and to pack quite a punch in this odd little running time that sits just past the feature film mark. 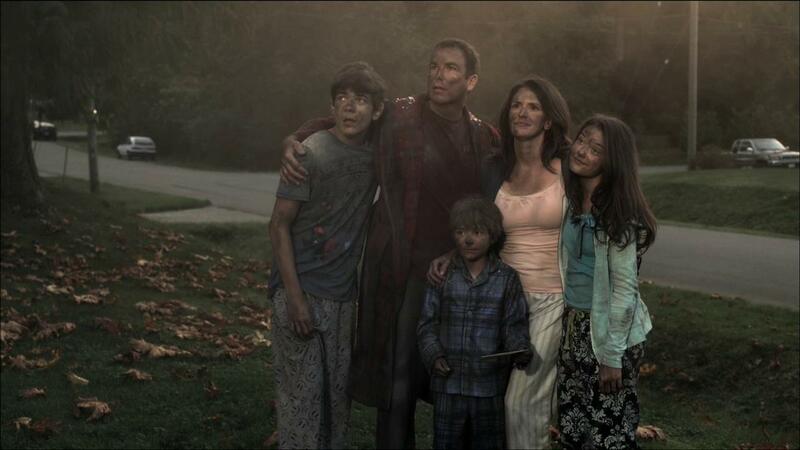 John Landis’ film Family is a perfect example of how this series allowed those who worked on it to excel. This material finds the director in top form. The material is two-sided allowing Landis to explore both the humor and horror of a situation. It tells the tale of a loner (George Wendt) who has a very strange way of building a family. The film cuts well and uses audio creatively to help bring the world playing out in the protagonist’s mind out into the open so we can all see it. A world which is convincingly conveyed by George Wendt. The film like a few in the series has an interesting twist at the end which is carried out with some panache and a few scares. The effects work is decent if inconsistent they do drive home the sick process this character goes through. This series as a whole is worth checking out if you are unfamiliar with it and John Landis’s Family should be one of the first films you look for.